Aaaaand we’re back! This week’s food crush is a beverage. 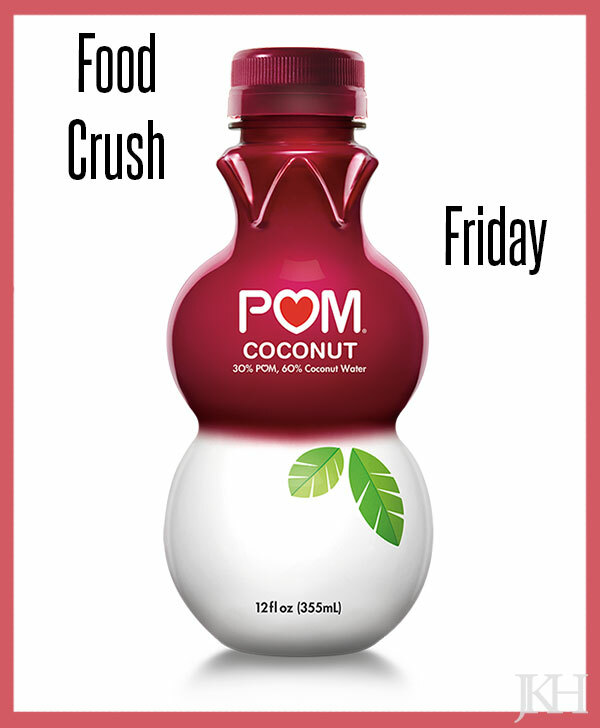 I first read about the wonder elixir that is Pom + Coconut in Women’s Health and was immediately intrigued. I’m not crazy about straight pomegranate juice nor straight coconut water, but this? This sounded intriguing. WH touted the great benefits of drinking this after a workout. An honorable thought, but one that I ignored. (I already have a post workout routine. And if you know me, you know it takes a lot to change my routines.) But, I figured if it’s good after a workout, it’s good after a night out! And I was right. You’re welcome. Neither too sweet nor too tart, this drink is Goldilocks, which is to say it’s just right. Move over Gatorade. Basically, this beverage is perfect for any occasion.